SOURCES: British Library MS Additional 17802-17805, a set of late sixteenth century part books, where it is described as “mass without a name” in the catalogue. The music starts on the following folios: i, f.72b; ii. f.68b; iii, f.71; iv, 66b. PITCH: As with much music of the period, the question of transposition and part allocation is not without difficulty. 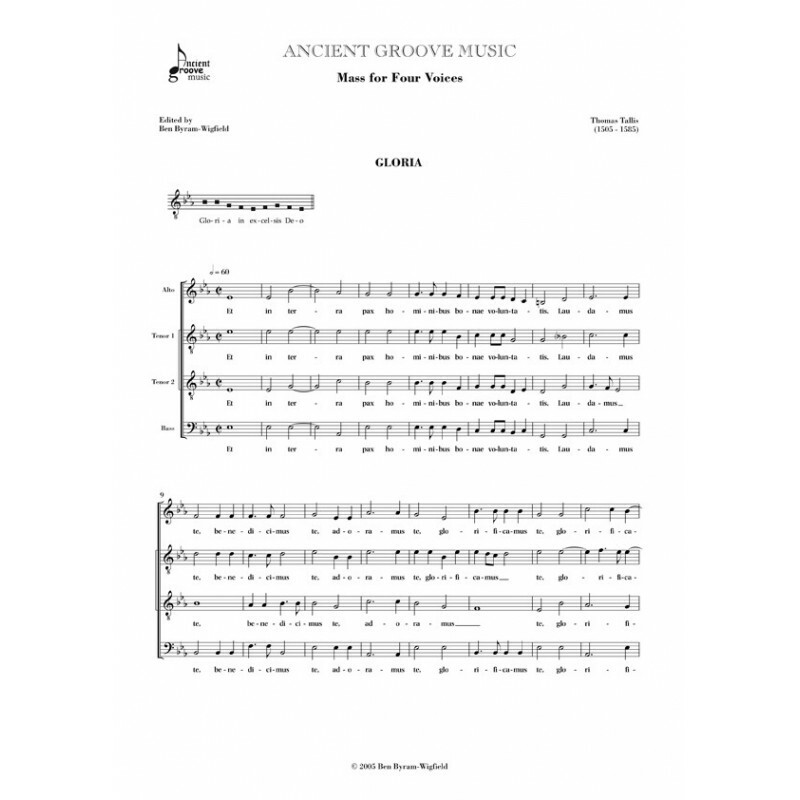 At original pitch, nearly all the parts sit low in the range of today’s voices, and it is unlikely that the music would have actually been performed thus. 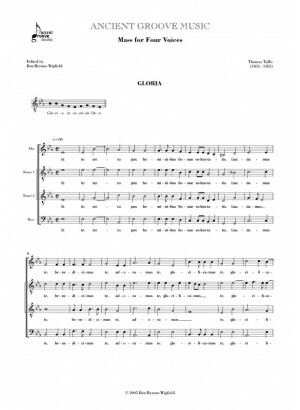 This edition gives a ‘compromise’ pitch of a minor third upwards, which offers the least bad placing of voices. (Key signatures in flats also lend themselves well to the correct display of source accidentals.) This leads to a part allocation of Alto, Tenor 1, Tenor 2 (or Baritone) and Bass. Conductors should feel free to transpose the piece for comfort. If suitable forces are willing, the piece could even be transposed up a tone or two from written pitch and sung as SATB. EDITORIAL METHOD: Note values have been halved. There are almost no accidentals in the original, and so almost all accidentals should be considered editorial.